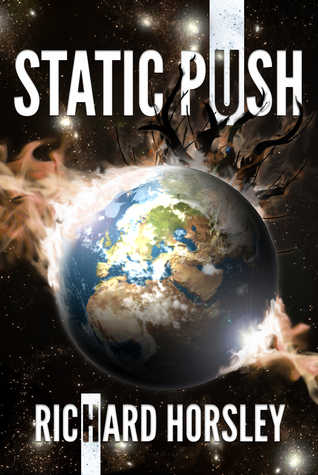 Click the link below to enter the Static Push Goodreads giveaway to be in with a chance of winning a signed premium paperback copy of Static Push! Entries will be accepted until the 8th of November when Goodreads will select a winner from the list of entrants, so please share this around and get your friends involved. Giveaway ends November 08, 2015. Revisited, rewritten. New samples for all! A while ago I mentioned on Twitter that I wasn’t happy with the start of Static Push. This is quite a big thing for any writer to admit, especially since I had previously released sample chapters containing the original content. But it wasn’t right, and after re-visiting, revising, pruning and adding for what felt like the bazillionth time, it just wasn’t doing what I wanted it to do. So, I took drastic action. I started again from scratch. I have rewritten the whole intro to Static Push. The characters are the same. The humour is still there. The soul of the story is intact. The team at Dennison are better than ever (of course 😉 ). So, let’s not call this a new beginning. A reboot, revamp. Instead I’m going to take a leaf from Lucas. Get the re-written sample chapters below, and as always, your feedback really matters to me! NOTE: Theses samples have been superseded by the released version of the book and may contain issues that were fixed in the final version! Also, wookies. So, y’know. Warn. Susan Hampson on Static Push: Available NOW!